The concept of partnering with a church may seem simple enough, but what’s actually involved in choosing which churches we should partner with? It’s a relatively simple question with a not-so-simple answer. 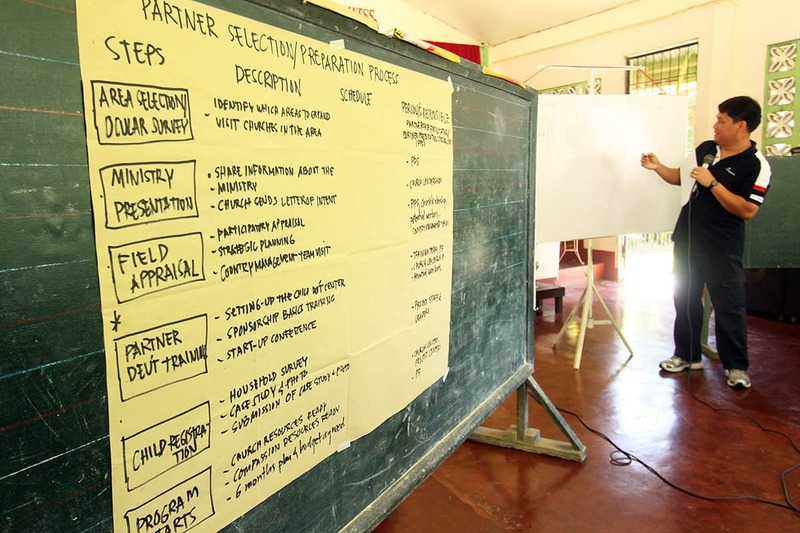 In the Philippines, it all starts in the country office with a process they call strategic mapping. 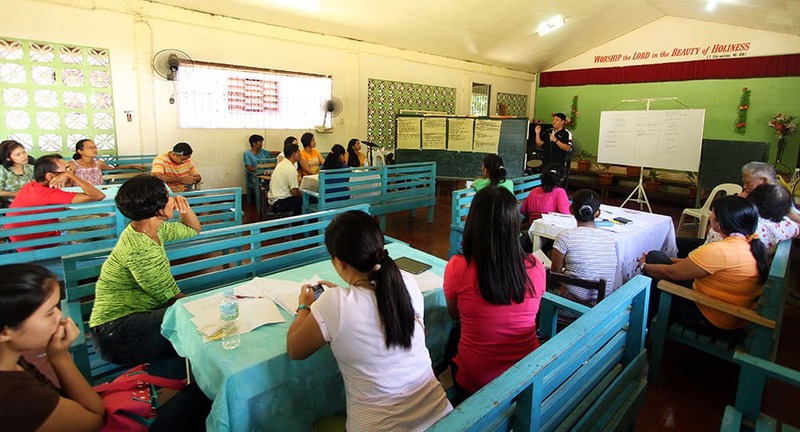 The first step of the process is for the Research Evaluation Analyst to gather information on the poverty situation throughout the country. 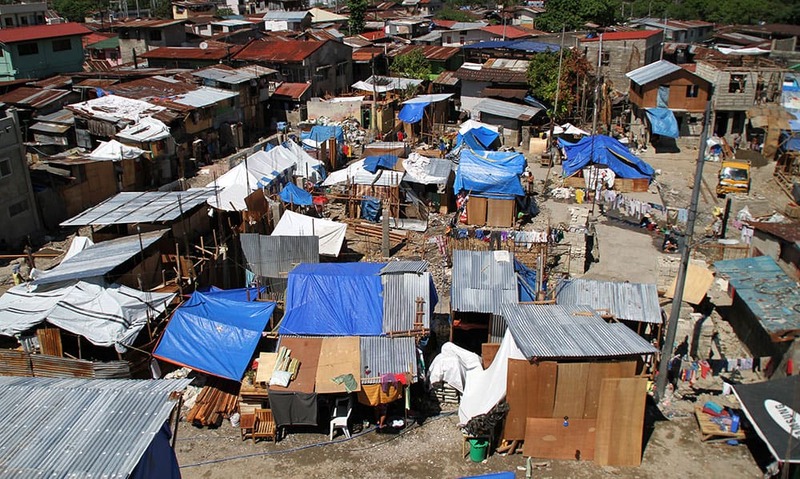 Using this information, the analyst identifies the poorest areas in the country. The next step is an “ocular survey” of all the areas identified. An ocular survey is an actual visit to the areas to ensure that the information gathered is accurate. If the information can be validated then the country office establishes contacts within the area. This includes making contact with pastors, elders, church volunteers and so on. Once relationships have been established it’s time for employees from the country office to present Compassion to the churches. An invitation is sent out to representatives of the churches in the area via word of mouth, email, ministerial fellowships and referrals. On presentation day, the country office presents our ministry and mission. At the end of the presentation, the interested churches fill out an application form. From here the country office will conduct in-depth, one-on-one meetings with the pastor and the church leaders. The church also must provide documents certifying that it is indeed a church. After all these steps take place and everything is validated, then the process of actually opening the child development center takes place. While this process may sound tedious, it’s put in place for many reasons. One of the more critical reasons is to stress the long-term commitment the church is making to the children and families in its community. What we don’t want to do is open churches as rapidly as we can to push up the number of children we’re helping. It’s important that we are able to provide consistent and dependable assistance for the long-term well-being of the children. If a church does get involved and then decides a year or so down the road that partnering with us isn’t for them, it’s the children who suffer. Once a church ends its partnership with us that means the child development center closes. The children who were able to be sponsored and receive the programmatic benefits no longer can. A long-term commitment to working with local church partners is one way we stay child focused. am glad to through the work you are reaching the children.am in Africa Kenya.am glad to be part of you because am serving in the church where there is alot of children who need support. I am pastor John Kerim from Torit South Sudan. We have thousands of Street and orphan chiLoren stranded without food and shelter due to the war in South Sudan, please pray that we can partner with you to help! John, we very much appreciate your desire to help those in need in South Sudan. Please email us at socialmedia@compassion.com to learn more about whether we could help you or not. Thank you! This is what I have praying to connect with. We need this in Ethiopia. Children are with out food and clothing. Parents can not afford to send their children to send their children to school. We are afullgospel church.we feed feefless children.we ask to partner with you to reach children in Ethiopia. Particularly in south west showa,Ameya . Hello! Thank you so much for reaching out to us. We do have centers in Ethiopia! If you are part of a local church that would be interested in opening up a new partnership with Compassion, please feel free to email us at socialmedia@compassion.com, and we can give you the right contacts from there! Pastor, I am emailing you with more information on child sponsorship this morning. I just emailed you with more information on your question. We look forward to speaking with you via email! Hello Pastor Roosevelt! We very much appreciate your desire to partner with Compassion to help children in need in Liberia. Please email us at socialmedia@compassion.com to learn more about our sponsorship program. Thank you! i am pastor jonah ngui from kenya,i started a church by Gods grace which is now growing.in the past few years have been receiving children in the church in desperate need of support for their education,i started by supporting one with my wife, the child had dropped out of school because her parents were not able to pay her school fees God has enabled us to take her to school,and right now she is sitting for her o level exam. i kindly request if we can get any support to help more needy children in the church and the community. Holy greetings to you in Jesus Name . I am Pastor Moses Kwee of the Jesus Evangelical Church located in Liberia, West Africa . I have been led to take you to be my partner in ministry . I am the founding pastor of the church . Therefore, I am asking you to accept me so that you can teach me how to impact in to the lives of God’s people . I hope you will have me considered . Mat God bless you . Hello Pastor Moses! Thank you for your desire to help children in need in your community. Please email socialmedia@compassion.com, so we may help you further. Have a blessed day! My name is Pastor Isaac P. Teh of local church call Kingdom Harvest Healing and Deliverance Ministry Inc. located in Liberia. The church is doing well now planning to build a structure where we can worship. I need a partner to buttress my effort in promoting God’s work. I will be willing to have a partner in this direction.am available to supply you all necessary information you may need. Hello Isaac! I have emailed you regarding your request. Thank you for your ministry. God bless! I have requested by my district Minister Rev Philip Pinto to find out how can our church Presbyterian church of Ghana Trinity congregation at Goaso partner with you to establish a child development center at Goaso To Help the poor and the needy in our community. Hello Akorli! We very much appreciate your desire to help people in need in your community. To learn more information about Compassion and how we may be able to partner with you, please email socialmedia@compassion.com. Thank you! I am a pastor in a local church in the north of Cameroon and want to know if we can partner with you in ministry. Hello Pastor Kwa Giyoh Thidore! We very much appreciate your desire to help those in need in Cameroon. Sadly, Compassion is not currently working in Cameroon, nor do we have plans to expand there in the near future. Regrettably, we do not have access to additional funds to help with outside ministries nor can we recommend any specific organizations that might. We want to thank you for the love and concern that you have for those who are in need in Cameroon. We pray that God will bless your efforts to minister to them. God bless you. Hi servants, I am a missionary working in a poor and marginalized region of our country Kenya. I also pastor a church that I started in the same region “West Pokot” and would wish to know how some very children can be helped through your organization. I appreciate the work that you are doing in building the body of Christ. God bless you. Hello Rev. Gerishon Njeru, we are very grateful for your desire to help impoverished children in Kenya. To learn more information about the possibility of partnering with Compassion to release children from poverty in Jesus’ name, please email us at socialmedia@compassion.com. Have a blessed day! My name is pastor Bright Iwuanyanwu, founder of True Vine Healing and Deliverance Ministry Here in Guinea Conakry, I would to know if you can extent your partnership with us here in Guinea Conakry. Guinea is Muslim majority, by the grace they are converting gradually by seeing signs and wonders through prayer in our Ministry. We need to prove to them that only through Jesus Christ they will be saved, healed and delivered from all operations of the devil. So therefore we need your help here, looking forward to hear from you soon. Hello Pastor Bright! We very much appreciate your desire to help those in need in Guinea. Compassion International is a non-profit, child development agency that works with existing church-based organizations. The funds that we receive are donated from sponsors for individual children in Compassion-assisted projects to provide for their educational, health and nutritional needs. It is our policy to register children ages nine and under into our program. Compassion is not currently working in Guinea, nor do we have plans to expand there in the near future. Regrettably, we do not have access to additional funds to help with outside ministries nor can we recommend any specific organizations that might. We want to thank you for the love and concern that you have for those who are in need in Guinea. We pray that God will bless your efforts to minister to them. Am from Malawi. I wanted to know if you also partner with churches in Africa. Hello Ezelina! Yes, we do work in Africa. We partner with churches in Burkina Faso, Ethiopia, Ghana, Kenya, Rwanda, Tanzania, Togo, and Uganda. If you would like more information about partnership, please email us at socialmedia@compassion.com. Thank you! My name is Prince Gausi from Malawi. I am a founding pastor of Divine Assemblies Church. Our church through Gap Filling Missions supports children who are helpless including orphans and disabled. Is there any chance for us to partner with you? Hi Prince! Please email us at socialmedia@compassion.com for more information about partnering with Compassion International. Thank you! Am pastor Mary and work with vulnerability especially girl child am done what needed to register my project but don’t have fund have raised several kids at my expense and am having depression ,don’t have fund to register my project and need someone to come and register my project and help vulnerability since they are suffering. Mary, please email us at socialmedia@compassion.com for more information about partnering with us. Thank you and God bless! Am grateful of the great you are doing the children.Am Bishop Robert Musinguzi a visionary Pastor of light life ministries,found in fortportal Uganda,my father died when I was still in mother s womb when igot saved I fill the Burden of helping the children.Since 2005,my heart yearns how to help the disadvantages children.I therefore kindly ask your guideline who to partner with your organization May God bless you waiting to hear from you. Hi, I am a child development coordinator for our denominations and we have churches in Kenya, Ghana, Ethiopia and Rwanda that have started some child development ministries and we would like to partner with compassion international. Hi there! Please email us at socialmedia@compassion.com for more information about partnership. Thank you and God bless! Are you currently working in or desiring to expand in India (Hyerabad/Bapatla area)? Michael, our program is sadly shutting down in India on March 15, and we will no longer be able to partner with churches there. I am so sorry :(. I am Pastor David Ted Williams, Founder and Senior Pastor of WOLOM Missions Liberia. Your program is quit interesting and I feel the need for Liberian children to benefit. Since the end of the Liberian civil war more and more children in Liberia are less fortunate. I pastor a 3 years old church of 350 adult membership and 185 children membership and I am involve with church planting in other parts of Liberia. I wish to partner with you. Hi David! Please email us at socialmedia@compassion.com for more information. Hello Rev. Ben Gonzaga! Please email us at socialmedia@compassion.com for more information about the possibility of partnering with Compassion International. God bless you! I’m Rev. Allison Jezaam from the communion of Evangelical Episcopal Churches in South Sudan. I m the Executive Director for Action for peace and Development organization under the above mentioned church.one of our programs is child protection. since I came across your program on child development Centre, it seems to be very interested to me. how can my church be part of your program? Dear Reverend, I am sorry but we do not work in South Sudan. We are, therefore, not able to partner with you and your church. Thank you so much for the love and concern that you have for the children in South Sudan and may God bless your efforts to minister to them. Greetings to my fellow Christians and co-workers. Thanks for your tremendous work or contribution made so far and are continually making towards the development of the child and the promotion of the kingdom of God. My name is Ibriham I.B Se-say form Sierra Leone, the head of the Children’s Sunday School Department, I write on behalf of my church, Faith Free Pentecostal, located at Regent Village, with an extension of two churches and a struggling school in the provincial area were apparently noting is available for children, working with the underprivileged and less-unfortunate, as a church, we do have a strong interest in your Child Development program guiding towards helping the child holistically. in the light of the above, I would like your organization to consider our partnership interest strongly come 2017. I look forward for co-partnership in building His kingdom. Hello Ibriham! We would love to talk with you more about the possibility of partnering with your church. Please email us at socialmedia@compassion.com. Thank you and God bless you! I am the Pastor and Co-founder of the Abundant Life Global Ministries Repulic of Liberia west Africa . Hello Priscilla! If you would like to partner with Compassion International, please email us at socialmedia@compassion.com for more information. Thank you! Hi Brethen I am a Pastor in Liberia , I have a less privelage home full of children , who parents die from the civil war , another sickness came call Ebola destroy some of my hardworking members and their children left whith us .pls help us . Hello Pastor Priscilla. I have responded to your previous comment. Please email us at socialmedia@compassion.com for more information on whether we can help you. Thank you! Greetings in the name of our Master and Lord Jesus Christ. beside the seashore.We are surrounded with families of fishermen who cannot send their children to schools. I desire to partner with compassion so that our church through partnering with compassion and will be able to help these underprivileged children. 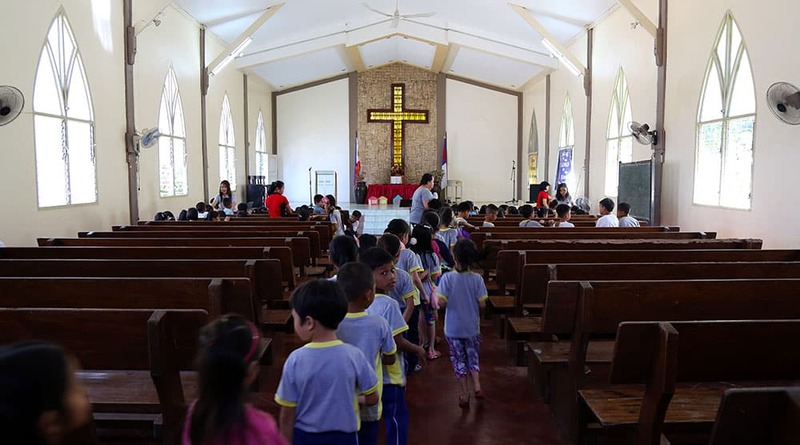 In our nearby municipality of Kalibo there is a church that is a partner of Compassion. Thank you so much and God bless the Compassion Ministry. Hello Pastor Cyril P. Agustino! We would love to talk with you about the possibility of partnership. Will you please email us at socialmedia@compassion.com for more information? Thank you! I recently started my own project in the rural and slum areas of Kisumu County, Kenya and I’d like to adopt the church partnership model even as I grow my organization. In the spirit of servant leadership, I’d like to learn as much as I can about this. Is there a way we can organize for a bench-marking trip to your country offices to make this happen? John, we are very grateful for your desire to help impoverished children in Kenya. To learn more about how we may be able to help you, please email us at socialmedia@compassion.com. Thank you! My ministry would like to be under the umbrella of your program. Hi Pastor! Thank you so much for sharing your ministry’s desire for partnership with us. We are so glad to know that you have been sharing the love of Jesus Christ with the rural areas of Zambia! Praise the Lord! Regrettably, Compassion does not currently work in Zambia, nor do we have plans to expand there in the near future. Because of that, we are not able to partner with you at this time. We will be praying that the Lord continues to bless your work done in the beautiful country of Zambia! Am attending a conference on Best Interest of the Child in Nairobi Kenya and inspired by a presentation by Compansion on the role of the church in promoting justice for children. This is very good work congratulations. 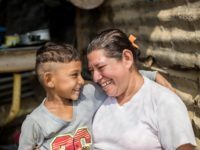 Can I get guidance on how churches in my country’s can partner with Compassion? Selloane, thank you for the encouragement! I pray that God blesses you in your work for children. Compassion is not currently working in South Africa, nor do we have plans to expand there in the near future. Regrettably, we do not have access to additional funds to help with outside ministries nor can we recommend any specific organizations that might. I need your partnership in my newly created church at a poorly community in West Africa country Sierra Leone, a suburb known Banawater to help the needy children, women in displaced school going children who cannot continue due to poverty. Rev Daniel, would you please email us at socialmedia@compassion.com for more information? Thank you :)! Hi Praise our Lord and heavenly father for the wonderful services and child focused & centered ministry activitieis Compassion is engaged. It is really heart touching. I am Abraham representing a Christian church based charitable society. We are ministering among the poor tribal villages of Orissa. We do work with Children in Need of Care and Support like orphans and abandoned and women empowerment program along with church foundations. 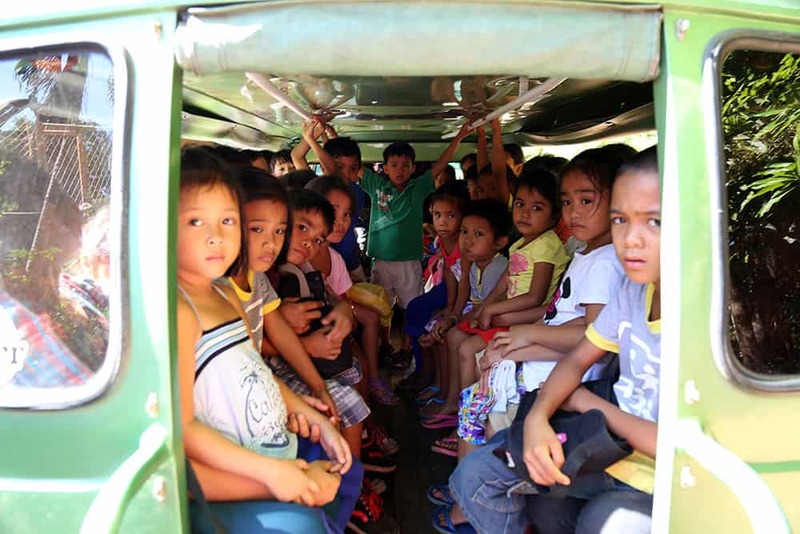 In the villages large number of children are malnourished, sick and bare without clothes. The families are poor and not able to provide food , healthcare and quality education. Good dress and meal is a dream for the tribal children in this particular areas. Our pastors and evangelists are teaching the children on basic education, hygienic and literacy. We do have a orphanage for 60 children. We are very much interested and willing to make partnership to start a child development project in Rayagada district of Orissa India, in the rural pockets. We keep Compassion mission and all the staff in our prayers. Hi Abraham! Would you please email us at socialmedia@compassion.com for more information on partnership? Thank you :)! It is so regrettably true that money so often could be an issue even in the ecclesiastical arena; where a huge amount of money is being handled, there are also those who are not sincere. Any church congregation can assert that they are in 100% agreement with Compassion’s Statement of Faith and Mission Statement, promise that they preach whatever we want them to preach and do whatever we want them to do and all that, just for the sake of great gain $$$. Besides financial integrity, the church that is a prospective Compassion project has to be preaching and practicing the Biblically-sound faith and not only that, it also has to be child-focused. I would imagine how tirelessly Compassion is searching for the right congregation that can be the right project for the children. I admire you all for all the hard work you do for children who really deserve our love and care. This is great and recommendable work you are doing for the body of Christ .Am a senior bishop of Jesus worship Ebenezer ministry a registered church in Kenya.I would like to know if you go for mission’s to equip the church and the ministers of the Gospel of Christ. Hi Bishop James! Compassion doesn’t take mission trips. We are a non-profit, child development agency that works through local churches in twenty-six developing countries worldwide. The funds that we receive are donated from sponsors for individual children in Compassion-assisted projects, to provide for their spiritual, educational,health and nutritional needs. If you would like to partner with Compassion to impact the lives of children in your community, please email us at socialmedia@compassion.com. Is there a way to know what church it is our sponsored childrens center is with? So we can know more about the denomination and things they teach? Hi Marilyn! Certainly! We would be happy to let you know the name and denomination of your child’s church partner. It looks like you sponsor several children. Please email us at socialmedia@compassion.com with which children that you would like this information about and we will get that to you. hi, peace be unto you. l am Mrs. Glora writing to you from Demurred Scramble plains, of Ghana. l want to know if the children department of my Seventh-day Adventist church (SDA) in the area be partnered with compassion. Hi Mrs. Gloria! Thank you for all that you’re doing to love and minister to the children of Ghana! Please email us at socialmedia@compasssion.com for more information on partnering with us. Thank you for the work you are doing in the kingdom of God. May the Lord bless you big. 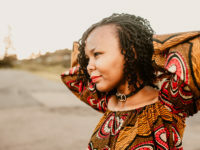 I am the founder and senior Pastor of The World Christian Harvest Church with its offices registered at State Law Office, in Nairobi, the capital city of Kenya. As we work, we see the need of echoing to the instruction of the Master in “James 1:27”, and we are reaching to the Orphans and their mothers . We wish to start a child development project and we are so optimistic that you will wish to look on at our proposal overview which we are ready to make available at once. please help us to make them feel to have a place in the society. May the Lord bless you. Hello Pastor! Please email socialmedia@compassion.com for more information about requesting partnership. Thank you and God bless you! I am a pastor in Liberia and would like to partner with organization for our underprivileged kids for your child development program. would not like to do this along but seeking your involvement for more impacts. like to fulfil my children ministry under the umbrella of a your program. Dear Pastor, thank you for reaching out to us for assistance. Regrettably, we do not work in Liberia so we are not able to partner in ministry with you in your country. I pray that God blesses you as you serve His people, and especially children who are precious in His sight. Good days to you.am speaking on behalf of kibuku miracle center and cymon child care ministry found in Uganda,we would kindly like to make partnership with you guys in order to uplift and expand our ministries in kibuku village. Hi Rashid! Thank you for your heart to bless children in your community in Uganda. Please email us at socialmedia@compassion.com for more information on partnering with us. Thank you for the work you are doing in the kingdom of God. May the Lord bless you big. I am the founder and senior Pastor of The Lighthouse Prayer Palace Global Ministries and Churches with its offices registered at State Law Office, in Nairobi, the capital city of Kenya. As we work, we see the need of echoing to the instruction of the Master in “James 1:27”, and we are reaching to the Orphans and their mothers who were so made as a result of the 2007 post general election violence in Kenya, and presently we are looking into the affairs of slightly less than 60 children. We wish to start a child development project and we are so optimistic that you will wish to look on at our proposal overview which we are ready to make available at once. please help us to make them feel to have a place in the society. May the Lord bless you. Hi Wilberforce! Please email us at socialmedia@compassion.com for more information about partnership in Kenya. Thank you and God bless you! How can we be part of this? We have children ministry in our church, Balocawehay Fundamental Baptist Church, but we lack funding. We pray that God will continue to provide our needs. Hi Roderick! Please email socialmedia@compassion.com for more information about partnership. Thank you and God bless! Wow. This is what I have been praying to connect with. We need this in Liberia. Children are with out food and clothing. Parents can not afford to send their children to school. Children are forceful bread winners on the streets of monrovia for parents. We are a great commission church. We focus planting churches in the rural areas of liberia. We feed feed less fortunate children once a month. Our nation went through fourteen years of civil conflict. We ask to partner with you to reach children in Liberia. Alfred, Thank you for your post regarding assistance from Compassion International. We very much appreciate your desire to help those in need in Liberia. 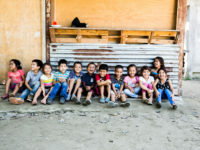 Unlike a relief and development agency, Compassion International is a non-profit, child development agency that works with existing church-based organizations. The funds that we receive are donated from sponsors for individual children in Compassion-assisted projects to provide for their educational, health and nutritional needs. It is our policy to register children ages nine and under into our program. Compassion is not currently working in Liberia, nor do we have plans to expand there in the near future. Regrettably, we do not have access to additional funds to help with outside ministries nor can we recommend any specific organizations that might. Are there any procedures in place to make sure it’s a church that teaches the true Gospel? Hi Diana! Compassion partners with strong local churches who agree with our Statement of Faith and Mission Statement. The Christian leaders and churches must be willing to invite our ministry into their country and competent Christians to staff country offices and lead the projects that your children attend. We work with local church partners and fellowships that represent over 58 evangelical, Christ-centered denominations and many indigenous churches. Our statement of faith is the same as that of the National Association of Evangelicals. Hello Anthony! We appreciate your desire to love and minister to the people of Ghana! Please email us at ciinfo@us.ci.org for more information on partnering with us or job opportunities with Compassion Ghana :). It helps me appreciate just how much thought there is in the process – how the long term commitment is important – and again, how Compassion is committed to financial integrity. Wow, I had no idea what actually went into this process. Does the analystlook for the areas with many or few evangelicals? They look for areas with many evangelicals. Specifically, several evangelical churches in the area. The reason for this is because it is a better use of funds for Compassion to partner with many churches in the area as opposed to just 2 or 3 due to what goes into training the church leaders and getting the church set-up to register Compassion children.